As mentioned in my previous post, my trip to Miami with my parents was a special one. I was able to partly fulfill one of my dad’s many dreams he had when he immigrated to the states. I was worried about them having a great time since it took so much convincing to go on the trip at all. Luckily, with the combination of good eats, mild weather, and some beautiful sights, I’m happy to report my parents are both happy they agreed to our weekend adventure in Florida. Here’s a recap of the food we ate! Yardbird was my favorite eatery in Miami. 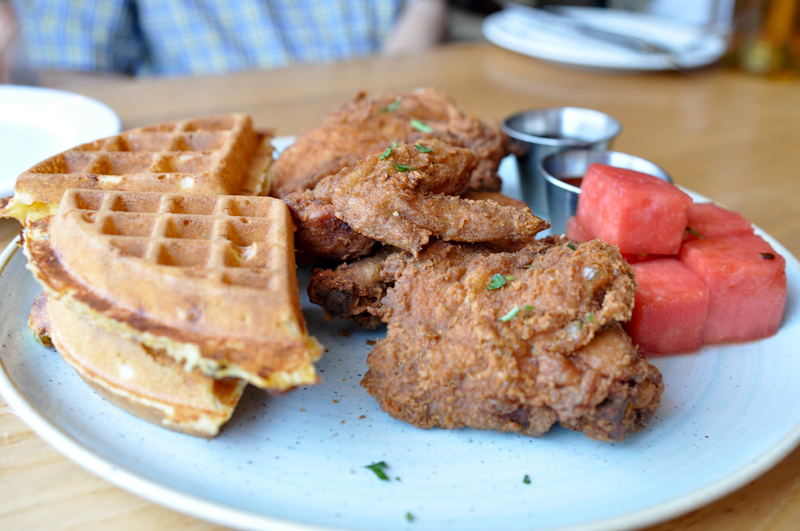 The chicken and waffles and watermelon is a must order. We went for brunch and I already plan to return for dinner the next time I’m visiting! Read a more detailed post of our experience at Yardbird here. My bestie and hostess for the weekend, Nazanin wanted us to try her favorite pizza place in Miami. We were still stuffed from lunch so the four of us split the eggplant and goat cheese pizza. There was so much flavor in this pizza! We sat outside near a grassy lot on Lincoln Rd. It was the perfect place to feel the sea breeze and watch the throngs of people on the bustling, iconic Miami road. I have mixed feelings about this Miami hotspot. It was my least favorite place despite how often it surfaced as a recommendation both in my research and in my conversations with friends. 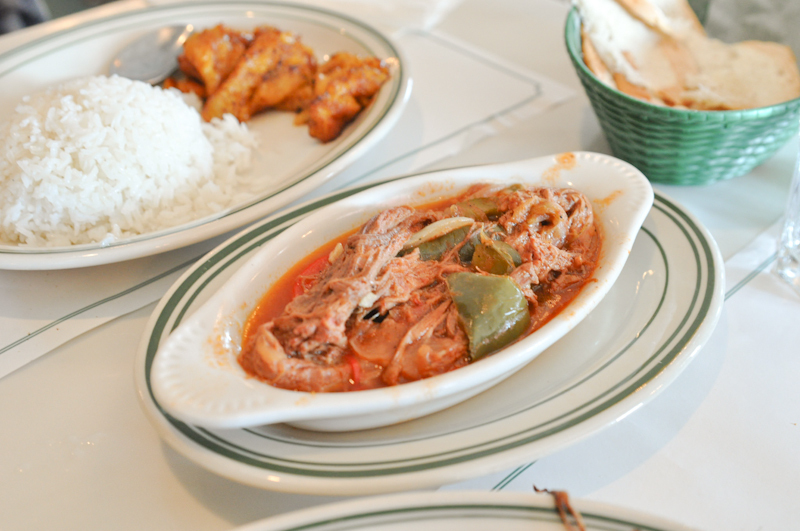 The ropa vieja was delicious as were their plantains; their cortaditos were amazing. However, their Cuban sandwiches were a little hard on my jaw to bite into and one of their pork dishes (its name already forgotten) under-seasoned. It might still be worth the visit to see the space and experience the hype! There’s something about macarons that make me want to take very stylized photos of them. They’re just so photogenic! 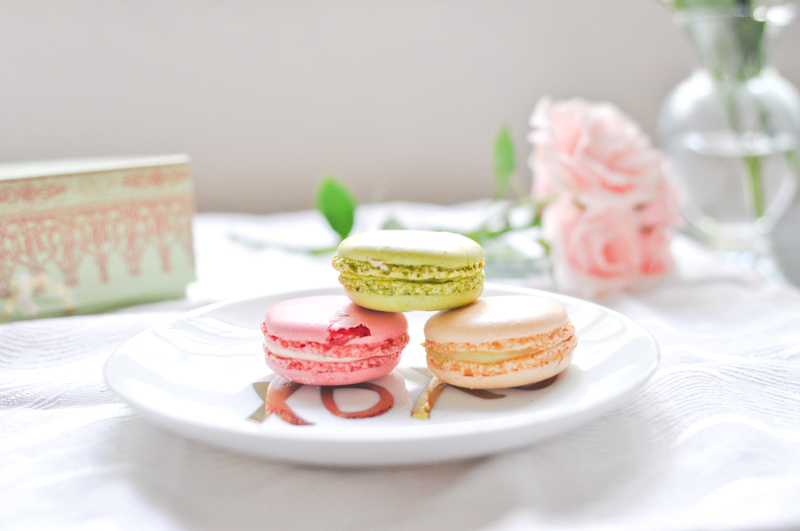 I first fell in love with Ladurée in Paris. Now if there’s a Ladurée in a city I’m visiting, it’s a given that I will be treating myself to a box of some of the best macarons I’ve had in my life. We were on our way to Tinta y Cafe for cordatitos and guava pastries when we realized Tinta Y Cafe wasn’t open on Sundays! So we popped into Arahis Bakery, an unassuming Cuban bakery in Little Havana. What a happy accident this ended up being! At Arahis, I had forgotten the words for “Papas Rellenas” which are stuffed potato balls. They only spoke Spanish in this bakery so I made due by ordering “dos pelotas”. The lady I ordered from was so tickled by my Spanish that she announced it in Spanish to the entire bakery. Laughter exploded and I sheepishly shrugged. It was worth the minor embarrassment because their papas rellenas were muy deliciosas! We also enjoyed the guava and cream cheese puff pastries and cortaditos. 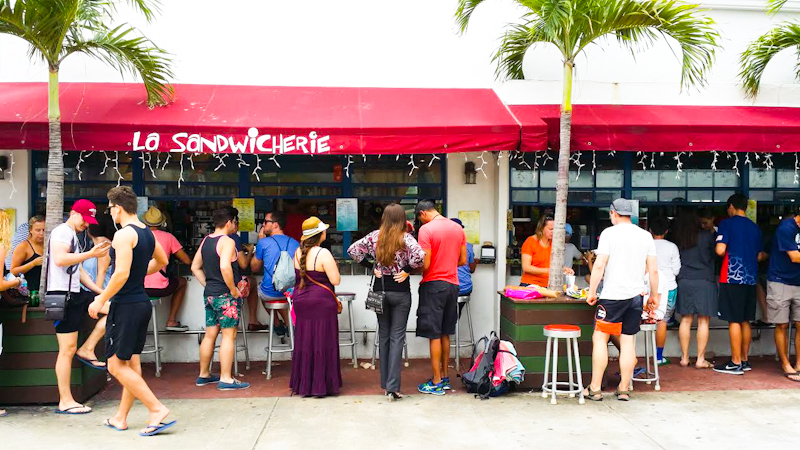 We had our last Miami meal at La Sandwicherie. 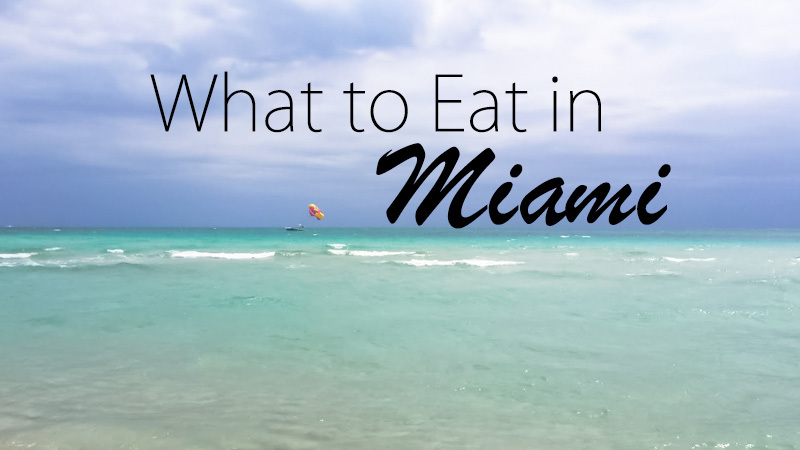 The sandwiches were so good, I promised myself that I will return every time I’m in Miami. These large and inexpensive croissant sandwiches were made to order in front of us and were bursting with fresh ingredients. I recommend the Tropical, a flaky croissant sandwich with avocado, mozzarella, papaya, mango and pineapple. As you can see in the photo, there’s only a few seats at the counter, so order to-go and walk a couple of blocks and picnic on the beach! 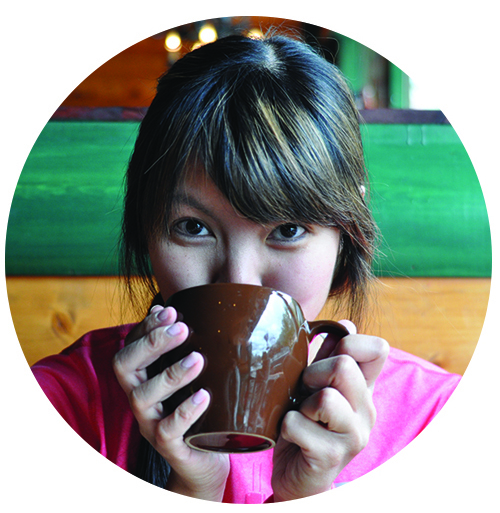 If you’re curious about what we did besides eat, read my travel recap on my personal blog! Been to Miami? What would you add to this list?